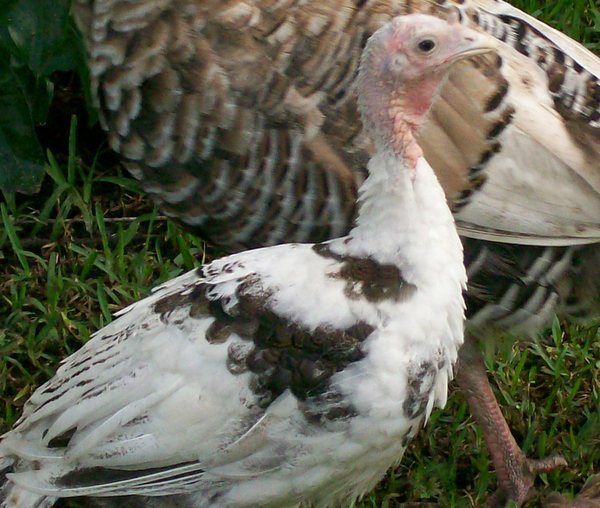 This site is committed to sharing information & recommendations about the care and nurturing of pet turkeys. 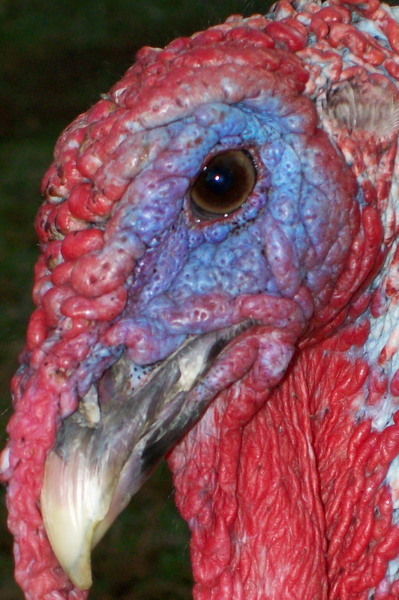 As always, please review the information on why Not to have pet turkeys. 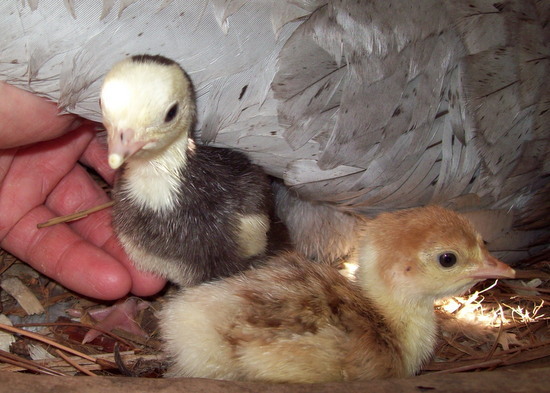 The information provided at this site has been gleaned from personal observations of domesticated turkey behavior, breeding, nesting, incubation and coop design. Consider this an unscientific reference guide of tips and theories to help anyone with the challenge and joy of rearing back yard turkeys. 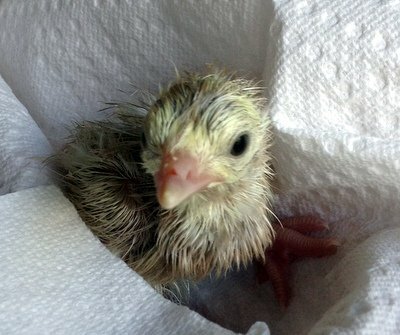 Newly hatched Poult. Welcome to the World little one! We offer our birds and place rescue birds to pet homes at no charge. --Lack of information on the Internet! BackYard Chicken and some of the Facebook turkey groups have amazingly good information-especially on the subject of diseases. Only recently I found a good source of information about raising turkeys but within two paragraphs (to my horror) the author was describing the process of burning the beaks off of baby turkeys! If your obligation is to burn the beaks off of these little cuties -please leave. Mini disclaimer: I’m not a hypocrite; I like jerked turkey & understand the requirement for the massive factory type turkey farms. And was at one time an avid turkey hunter. 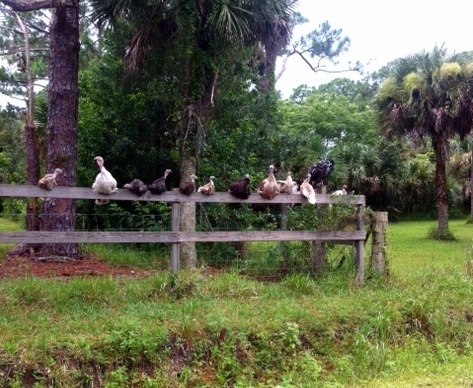 However over and over, people ask me or email the same questions about space, feed, interaction and so I created this site to help the backyard hobbyist who currently owns or wish to acquire a small number of friendly turkeys. 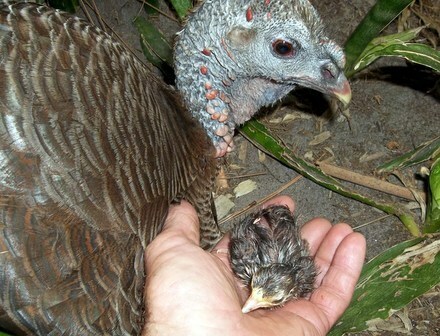 Hopefully our information and stories can go a little way to help people successfully raise pet turkeys while spreading the word about the endearing, even surprising and remarkable qualities of these curious birds. Brevard County Florida, a few miles southwest of Kennedy Space Center. 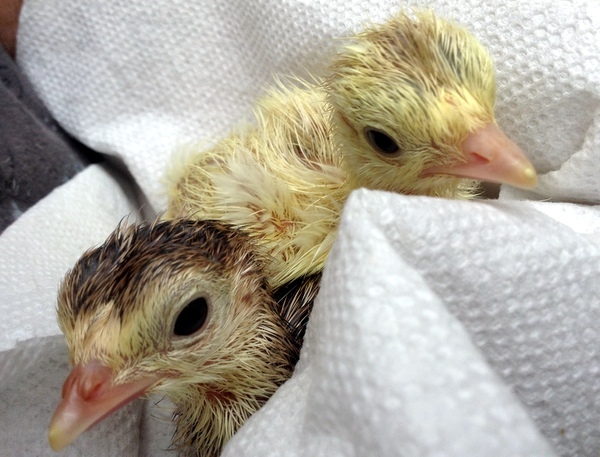 We maintain a “not for profit” hobby turkey flock and limited bird rescue. We are not a hatchery. We do not sell or kill our birds; we are not a business -even though it’s true that our “Free Range” Organic turkeys that we give away could be sold for surprising amounts of money during the holiday feasts. 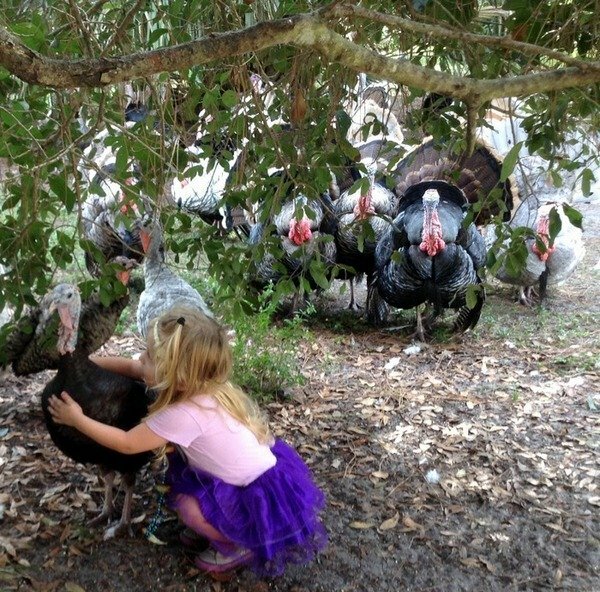 We simply enjoy the amazing turkey & enjoy their interaction with us or Florida’s nature. The turkey yelp, the cluck, the gobble and whine all have a place in our hearts! Our back yard flock of Free Range Heritage turkeys provides us with hours of entertainment, affection & companionship, manure (fertilizer) for our organic gardens, limited eggs for cooking and feathers for arrow fletching. YES we gave away the birds away at no charge, to pet homes only; furthermore we have also placed many rescued turkeys and chickens to new homes. 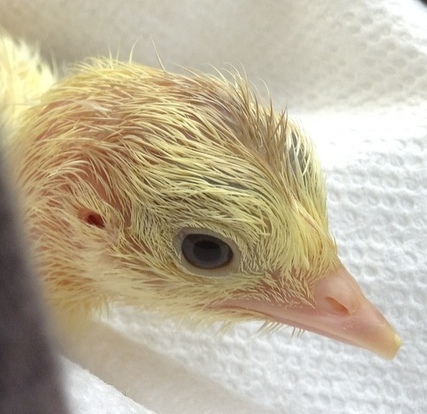 We have limited space for rescue birds, but we help when we can. Winter storm and a warm towel! 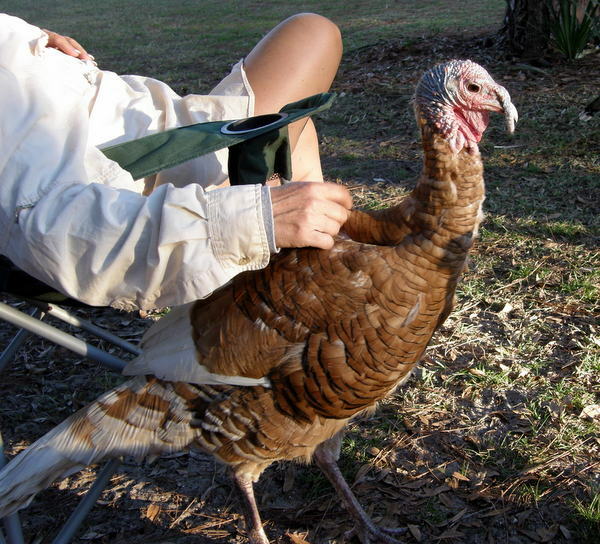 Finally: perhaps you may enjoy a few of our personal stories of interactions with our back yard turkey pets. If you take nothing from this site, please read the heartwarming story of “Bobbles” "The turkey who loved to dance”. Bobbles story is a tale of the unexpected rewards and humbling experience of raising a handicapped turkey. 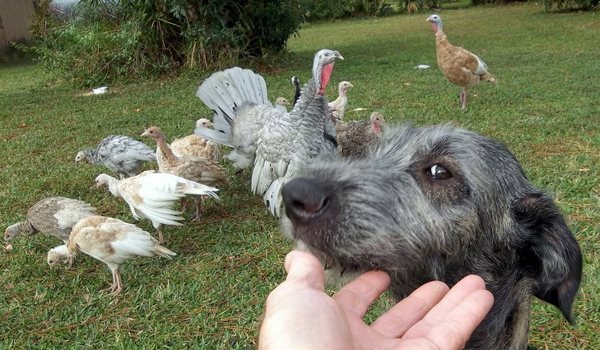 And let me repeat again: Please review "Reasons not to have turkeys" before obtaining some of these backyard companions. Also keep in mind in most of North America and the United Kingdom; there is NO such thing as a "Pet" Turkey. Turkeys and Chickens are food animals with no rights. So the very fact that I use the term Pet Turkey might make me politically incorrect & perhaps expelled from the European Union or Ohio.